The Antrobus Hotel has 19 en-suite guest rooms. Our rooms comprise of Doubles, Twins and Family Rooms. We are a dog friendly venue and can accept pets by prior arrangement. Room rates vary from £49 per night, up to £120 per night depending on the season and the type of room booked. Rooms are available for ad-hoc booking for short stays, or can be booked exclusively with our function facilities. 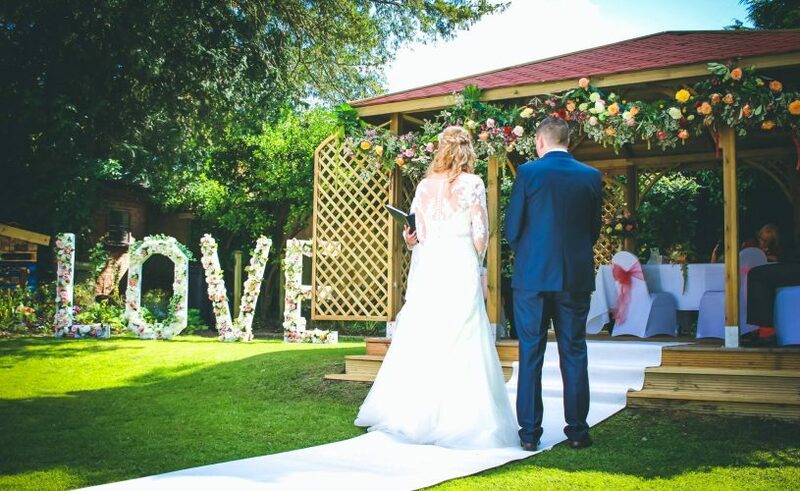 Located at the back of The Rose Garden, The Arbour is a fully licensed ceremony room that can also double as a stage in the garden, or private shaded area to meet and eat. 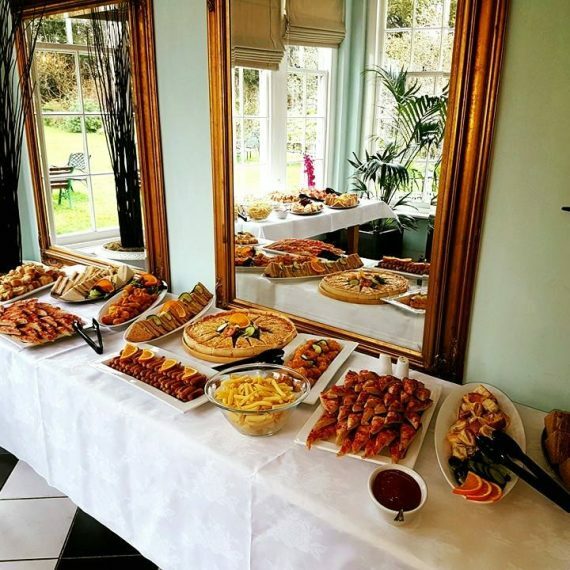 The Arbour is licensed for 10 persons during a wedding ceremony and has full electrics & discrete audio visual facilities – so that the remainder of guests, who can sit in the garden, can hear the readings. Recently refurbished, The Ballroom is the main indoor function room at The Antrobus Hotel. Able to cater for a variety of functions, The Ballroom is a licensed for marriages and civil partnerships. This spacious room with high ceiling can seat up to 150 people in theatre and up to 70 in a dining configuration. 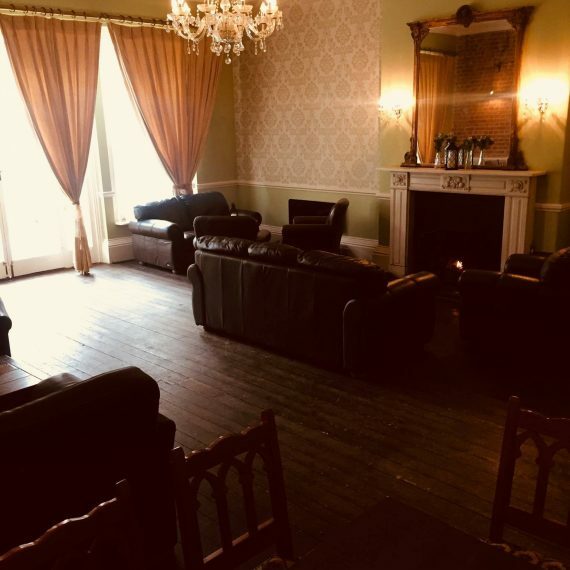 The Ballroom benefits from it’s own outdoor terrace, which is available for private hire hire along with the attached outdoor bar – which can be hired for exclusive use. The Lounge Bar is the hotels main bar, serving a wide variety of Ales, Ciders, Beers, Lagers, Soft Drinks, Tea & Coffee, Spirits and Whisky. 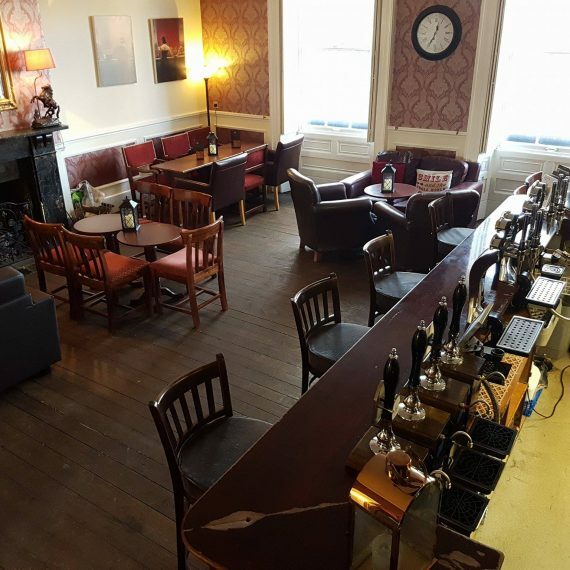 Open to the public, featuring an open fire and traditional Georgian Architecture; The Lounge Bar is open from 10am until late every day – as well as additionally late for all functions & events. Located directly in front of The Ballroom veranda and assembled on top of the terrace, The Marquee is an all new luxury ‘clearspan’ semi-premanent marquee, that measures 8x12m. In standard layout it can seat up to 100 people comfortably in banquet, with the option of increasing that to up to 200 people with a hired extension. Featuring tensioned walls and ceiling, The Marquee is completely impervious to even the worst of british weather. The Marquee has the option of being hired with it’s own private bar and is lined internally with a ivory pleated silk lining. Featuring ornate chandelier lighting, the marquee also has 25 hidden LED colour washers, which can ‘wash’ the wall and ceiling lining with any of 250 colours to match your event. Fully carpeted over it’s solid wood floor, it is the ultimate in wedding marquee luxury! Light and airy, The Orangery is the perfect room for small meetings or private parties, as well as an additional space when hired with The Ballroom. Without a doubt our finest asset. Unique and special, our Georgian Walled Rose Garden is unrivalled in the local area. Professionally tended The Rose Garden offers a spectacular space for your guests to relax. Now fully licensed for weddings (in The Arbour) the garden is also home to The Terrace, Marquee and our unique Outdoor Bar. The Rose Garden is available for exclusive hire, or available free of charge for shared use by your guests during your event. Please refer to our Weddings page for information on Garden Ceremonies & Outdoor Weddings. The garden is lit up at night to look truly spectacular, with lighting that can be colour co-ordinated to your events theme. In addition to this our large pond & ornate fountain, which is fully stocked with a variety of fish (including Koi), makes an ideal centrepiece for photos and also entertains your guests.